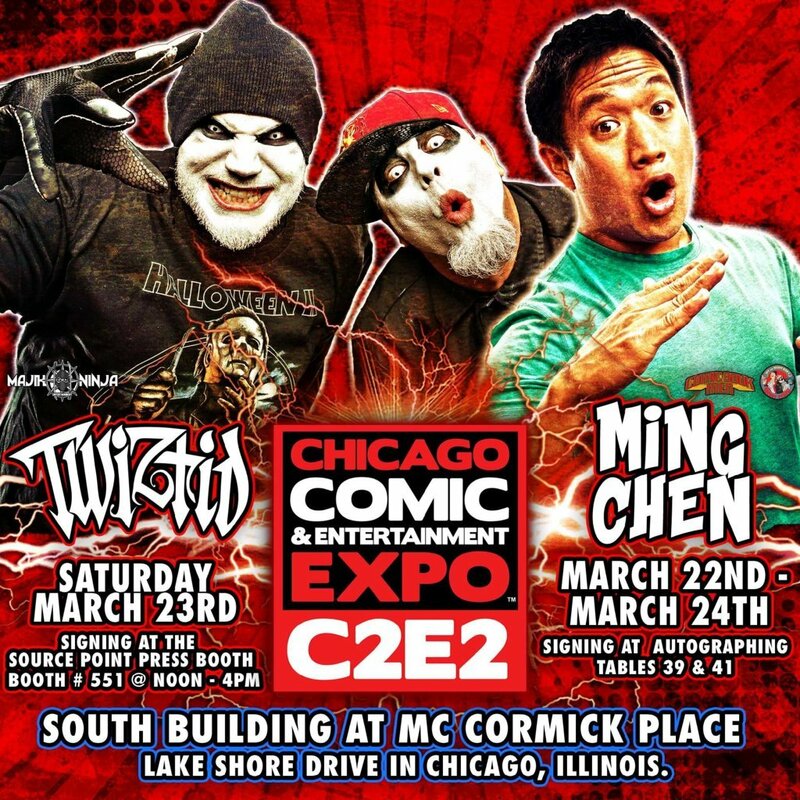 Radio420™: Twiztid and Ming Chen Appearing at Chicago’s C2E2 Expo! 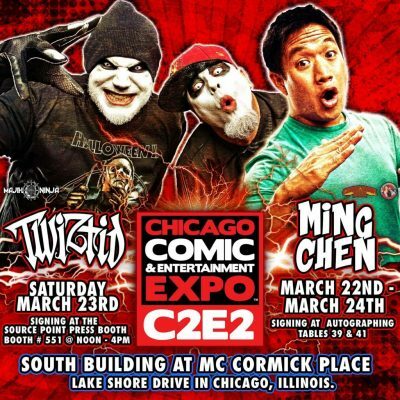 Twiztid and Ming Chen Appearing at Chicago’s C2E2 Expo! Next weekend, the demented duo Twiztid will be appearing at the Chicago Comic & Entertainment Expo (C2E2) on Saturday, March 23rd. Their signing will take place at the Source Point Press Booth (#551) from Noon-4PM! Also appearing next weekend will be their homie Ming Chen from Comic Book Men! He will be signing on the 22nd and 24th! There’s also a C2E2 Exclusive of the latest Haunted High-Ons comic: “The Darkness Rises #2”! For tickets, guest info, and all other details related to next weekend’s convention, go to C2E2.com!